Eczema is a chronic problem that causes inflammation of the skin. The exact cause of this condition is not known but it can be triggered by excessive stress, allergies, irritants, microbes, changes in weather, hormonal changes in the body and other factors. Symptoms of eczema include redness, itching, dryness, rashes and dark, rough patches on skin. Often eczema leaves behind ugly scars, which take a lot of time to disappear. In addition to your usual medicines or lotions, try some easy natural treatments for eczema scars. These treatments can give you relief from pain and itching associated with eczema and lighten or eliminate unsightly scars. 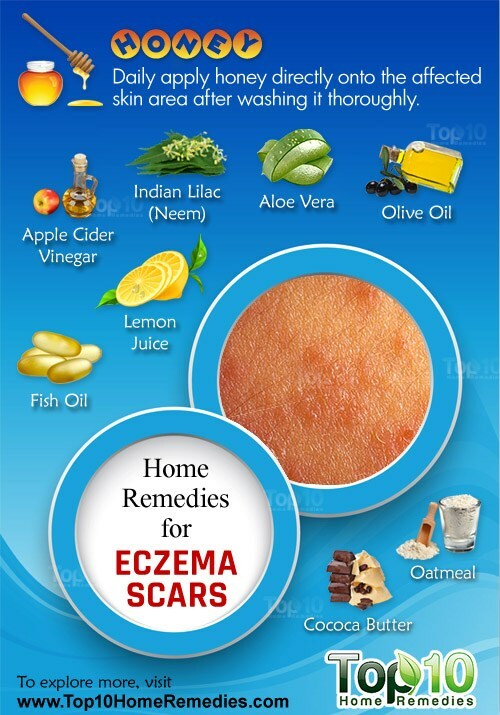 Here are the top 10 home remedies for eczema scars. Honey is used to treat a variety of skin problems including eczema. The soothing, antiseptic and antibacterial properties in honey can reduce eczema and heal eczema scars to a great extent. Daily apply honey directly onto the affected skin area after washing it thoroughly. You can also make a scrub using honey and crystallized sugar. Scrub the affected area with it gently for a few minutes and then rinse it off. Do this a few times a week until the scar is completely gone. Apple cider vinegar contains astringent, antifungal and antibacterial properties that can reduce eczema as well as eczema scars. Mix two teaspoons each of raw, unfiltered apple cider vinegar and raw honey in a glass of water and drink it three times a day. It will boost the immune system, which will gradually reduce skin inflammation and scarring. You can also apply apple cider vinegar directly to the skin by mixing one part vinegar and one part water. This will help reduce itchiness and dryness. Indian lilac or neem works as one of the best natural home remedies for eczema as it helps reduce redness, irritation, and inflammation. Mix one tablespoon each of crushed neem leaves and turmeric. Add a little sesame oil to the mixture. Apply it on the affected area and leave it on for at least 30 minutes before rinsing it off. Enjoying a regular oatmeal bath will help soothe the skin and relieve itching. Oatmeal also contains natural cleansing agents that reduce scars. Grind one to two cups of oatmeal in a blender or coffee grinder and add it to warm bath water. Soak your body in the oatmeal bath for 20 to 30 minutes. Pat your skin dry using a very soft towel. Do this up to three times a day depending on the severity of your condition. Another popular home cure for eczema scars is aloe vera. The anti-inflammatory and antimicrobial properties in aloe vera can reduce the irritation caused by eczema and gradually lighten the dark scars. Apply aloe vera gel directly to the affected areas. Do this a few times daily until you are satisfied with the results. Alternatively, you can combine equal parts of pure aloe vera gel and vitamin E oil to form a thin paste and apply it to the affected skin. Leave it on overnight and in the morning wash it off with warm water. Repeat daily. Baking soda can be used as an exfoliant to remove dead skins cells without causing itchiness. In fact, it helps reduce itching. Mix two tablespoons of baking soda with one tablespoon of water to make a paste. Apply it on the affected area and after a few minutes, rinse it off with lukewarm water. 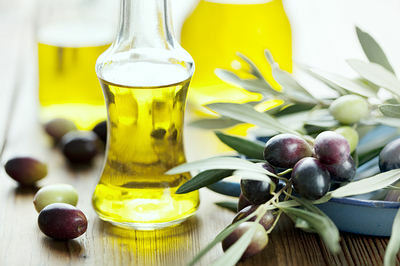 Olive oil has powerful anti-inflammatory effects that can help relieve eczema symptoms. Plus, it can soften the skin, reduce redness and fade the scars. Gently massage the affected area with extra-virgin olive oil. Place a hot washcloth over the area, leaving it on until the cloth totally cools. Then wipe away the excess oil with lukewarm water. If olive oil is not available then you can use coconut oil in the same way. 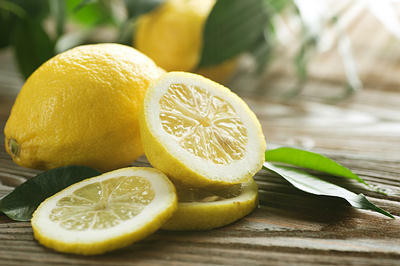 The acidic property of lemon juice acts as a natural antiseptic that can lighten old eczema scars. The vitamin C present in lemon juice also helps your body create new skin cells and brightens the skin tone. Apply fresh lemon juice onto the affected area twice daily and leave it on for 10 to 15 minutes. Alternatively, you can exfoliate the skin with a mixture of one part lemon juice and one part sugar. Use this remedy few times a week before going to bed. 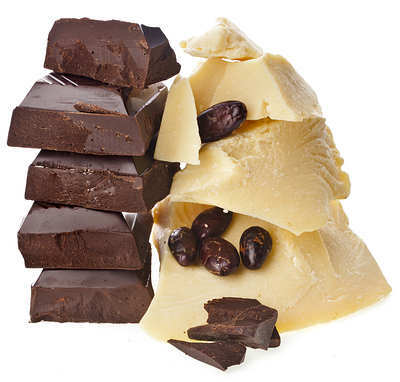 Cocoa butter is often regarded as a restorative salve for skin that can lighten dark scars. Apply pure cocoa butter on the scars daily and over time you will see them get lighter and lighter. For best results, be sure to use pure cocoa butter and not just lotions containing cocoa butter. Just like cocoa butter, shea butter can also be used to eliminate scars. Shea butter is rich in vitamins A and E as well as keratin, which help rejuvenate the skin and fade scars. 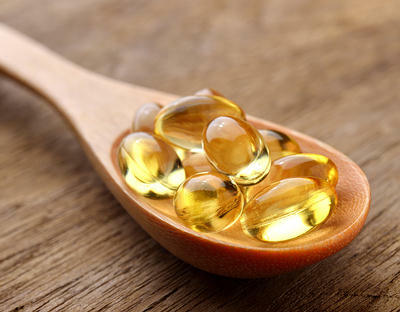 Regular intake of fish oil can also help heal eczema scars. The omega-3 fatty acids in fish oil also heal the inflammatory symptoms associated with eczema. Take 1,200 milligrams of fish oil three times daily to get rid of scars left by eczema. You can also include fatty fish like salmon, tuna and mackerel in your diet. It is important to remember that the scars will not vanish in a day or two. You’ll need to be patient and follow the remedies without fail for some time before you start noticing a difference. you can try out an Ayurveda medicine that cures eczema from its root in 4 months. For the marks u can try the leg peeling and alovera gel to make it disappear. Thanks for a great easy to read page with plenty of tips. And no adds for businesses! Thanks for the information!!!!! It was very informative and easy to read. The layout was excellent. This seems like it all could work! 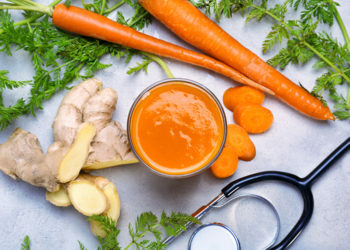 My skin stays very dry and a darker, and sometimes reddish color after inflamation, will these remedies help with that? I tried the lemon juice rememdy , it really seems to work . I see I big difference even after one day. I tried the olive oil, baking soda and lemon remedies. The baking soda has done wonders – it seems to reduce redness instantly and lasts! the lemon is very soothing, I put it on a cotton bud and leave it for 10 mins. Aloe Vera is also fantastic as it stops the itching and makes your skin feel great! I tried the baking soda remedy but it just made my imflammition get worse and really red. Is there anymore remedies that could help? I found the lemon remedy really good and it helped! baking soda contains nickle! one of the worst eczema allergens! I mix 1 part honey with 4 parts water – and dab onto scars with cotton wool. Mixed with water it isn’t sticky and it is very soothing and calms inflammation and redness. I recommend! I’m beyond excited to start doing the suggestions. I have nothing to loose by my scars!!! I’ve been suffering with ezcema for 15 years. The ezcema has left dark spots on my arms, legs,neck and face. I’ve used the hydrocortisone, shea butter cream to control the ezcema. It didn’t work. Thanks for the home remedies. Use equal parts of cinnamon and honey mix and apply it should clear up everything!!! I have had excema since birth I wanna try out for pom or cheer in a couple of months what do I do?! ?I have tryouts in march…. I know I’m really late, but this can go for anyone. Just accept your body, I know that is easier said than done, but a little itching won’t stop you from being a cheerleader. I have had eczema since birth, people really don’t care. They just usually ask if you are OK and you can explain it to them. It only really becomes a problem if you let it damage your self esteem, even if people bully you because of it. It is what makes you human and if other people can’t see that, screw them! I’ve had eczema for 15 years now and I’ve used soooo many ointments and lotions and creams and they all didn’t work! the lemon Juice remedy does it really work? And like i have dark patches on my face and the complexion on my face is not good at all. There are parts that are darker and lighter and i want them to be even?? You should just try them, because they are natural ingredients you can’t really go wrong. Look into apple cider vinegar, you take it internally and apply it externally on the affected patches frequently. I would also recommend you change your diet drastically. You can find loads of information on natural eczema remedies, keep searching, keep testing different things. Lemon juice does gradually get rid of scarring it’s the most effective natural way to reduce scarring, whether it would heal the eczema itself if used everyday depends on what kind of eczema u have. I have tried everything,i have a pharmacy in my cabinet.i used lemon juice,that left light spots on my arms.i used baking soda,it scarded my skin.i mixed olive oil and shae butter also helped clear the scars. Coco butter vaseline has been a great helped .i mixed organic vinetger with water,it helped tremendously, moisturize with olive oil.drink plenty of water too.a gallon a day. I lost several fingerprints but they all come back once the skin stops peeling and has healed. i had eczema since birth and the scars got worse after puberty stage. now i cant wear my fave short pants and sleeveless blouses because of my scars from the different part of my body. i hope the home remedies will work for me. but still, thank you so much for posting this remedies. I used to do the same thing because it was on my legs and my arms but I have learned that God can do anything and He has healed me of my eczema. I’ve had eczema for 10 years now I’m using so many oily creams it does work when I use. But I have a lot scars my skin is not even my legs, arms, neck and back are so dark now for my scars I’m using cocoa butter skin therapy oil I’ve been using this nearly 7 months it does help to remove scars but I want something work quicker to remove my skin scars. I’m going to try all of this I hope it will work. Please if you guys know anything else that’s help to remove scars quicker please write here pleaseee. Also I need something for scalp eczema as well. Thank you so much for this information I hope it will work for everyone. I want to try the lemon juice one but am worried the acid will burn my skin causing further breakouts – has anyone suffered from this? I tried it and it did burn while I was putting it on, but I think it was working it cleared up only a little. THANK YOU! First time I am experiencing eczema and the scarring was terrible. I tried the baking soda and IT WORKED! 30mins since I applied it and it’s reduced drastically I took a before and after pic just now and I’m amazed! Very happy thank you! I’ve had eczema since birth, it was really bad when I was a child. I am now 17 and it has left me with darker brownish skin on my hips and legs. I will try the using the lemon to try to lighten my skin and scars. hope it works.